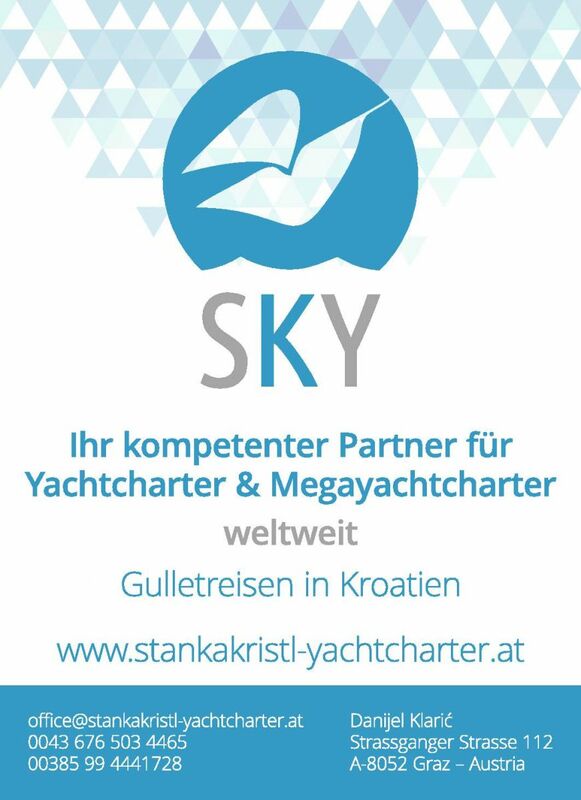 Stanka Kristl Yachtcharter was founded by Mrs. Stanka Kristl in 2011. She took advantage of her experience in the charter business in order to open an independent company. On March 1, 2015, the company was acquired by Danijel Klaric as Stanka Kristl had to withdraw because of health reasons. The name and brand remained and thus visible. Our Stanka will still actively support the team. Transparency in the charter transaction and personal customer care are the top priorities for us. We cooperate solely with charter companies which have well serviced ships, a professional team and an excellent service, to ensure our customers a smooth and relaxing sailing trip. For you, we are present in the area of Dalmatia. For a good quality it also needs a professional handling and security, which is why we also are an official partner of "Yacht-Pool" - insurance service. You receive an insurance certificate, which serves as a guarantee for your charter payment from us for each booking. Sailing - far away from any hustle and bustle – to put everyday life aside, that’s pure chill. Enjoy the waves of the sea - the beautiful secluded bays, cuisine and flair of the coasts, whether with friends, family or only you two. Our team consists of Managing Director Danijel Klaric and Charter broker Tena Coric.